Diabetes has reached near-epidemic proportions in America. If you or someone you love has been diagnosed with it, you need to keep blood sugar in normal ranges and avoid serious complications. But how can you help control diabetes and not let it control you? 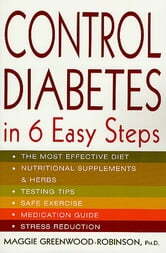 * Six simple diet principles that can control blood sugar! 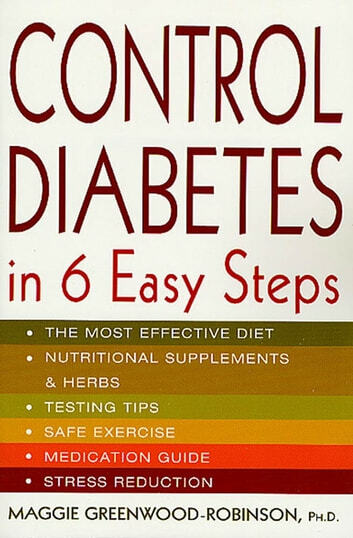 Developed with the help of a team of experts, Control Diabetes in Six Easy Steps, can stop your frustration and fears...and let you take charge of your health. * Are there forbidden foods in diabetes therapy? See what few foods are off-limits-and be surprised! * What sugar substitute is not only non-caloric, all-natural, and 250 times sweeter than sugar? If you haven't heard of "stevia," it's time to get the facts! * How hard is it to change your diet? Find six "nothing-to-it" nutrition principles that make meals a cinch. * Can anything repair nerve damage (neuropathy)? Check out alpha lipoic acid...and the top ten nutrients for keeping you complication-free. * Exercise can bring you spectacular health benefits if you prepare. Find out how to protect your feet and keep your glucose from going crazy. * What is the effect of stress on diabetes? Negative emotions can send blood sugar skyrocketing...unless you know what to do.